Life is full of unforgettable moments that are meant to be eternalised and what better way to do so than by using the ingeniousness of cameras (sadly we don’t have the possibility of time travelling YET!). They say it takes having the proper full equipment to be able to stand out from the crowd, since everyone has a camera nowadays and internet access to share photographs through social networks, but don’t underestimate the power of quality camera and lenses. Sure you might make use of filters to create something interesting, but the camera is the same to the photographer as the paintbrush to the painter. It’s not just choosing the right object and angle, it’s having the essential instrument that makes all the difference. In the world of technological advancements, there are plenty of options to go about when looking for the right camera, so making up your mind might seem complex at first. However, when you weigh in the pros and cons, and do the maths of cost-efficiency in the long run, you can’t go wrong by opting to buy DSLR cameras. Nikon and Canon are the brands famous for their DSLR products, always striving for better upgrades and jaw-dropping photographs. What makes them better than phone and point-and-shoot cameras is their amount of image sensors and overall image quality thanks to having more control of taking the photo. Another pro reason is the option of having user friendly features so it won’t take you much time to figure out how they work. As any professional would tell you, lenses are as important as cameras and they make all the difference between an amateur and professional photograph. This is where DSLR cameras prove their reliability too, making it easy to change lenses and provide you with more shooting possibilities. Buy DSLR cameras, combine them with the adequate lenses, and prepare to be amazed. Having the chance to use different lenses, unlike with the point-and-shoot variant, means you get to shift from different types of photography in a matter of seconds. One minute you could be taking shots of portraits, the next of landscapes. 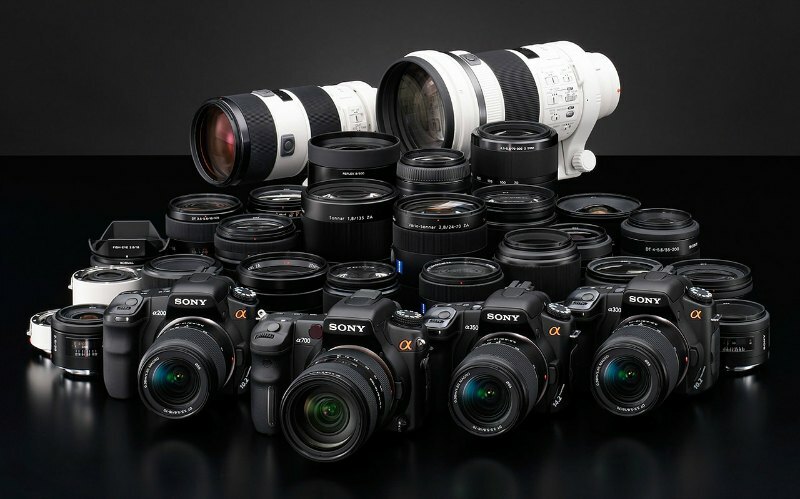 Not only do you get to choose from a wide array of lenses, spanning from super wide angle to telephoto, but you also get more optical options with more zooming. This means you have more control over the depth of field, isolating subjects either from the background of foreground, focusing and blurring. Choose your DSLR camera, pair it with two or three lenses that you prefer the most based on your photography, and you’d immediately see the difference. Be prepared for positive reviews!